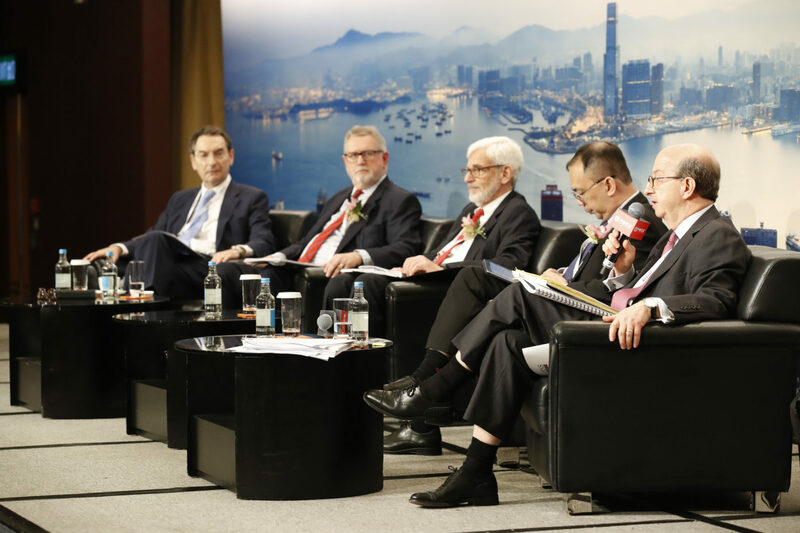 Global and regional high-profile decision makers from the distressed investment community, the Hong Kong Government, and members of the international insolvency judiciary were brought together to discuss and debate Hong Kong’s role in international debt restructuring for Chinese businesses, and Hong Kong serving as the platform for international distressed investors to access PRC debt. 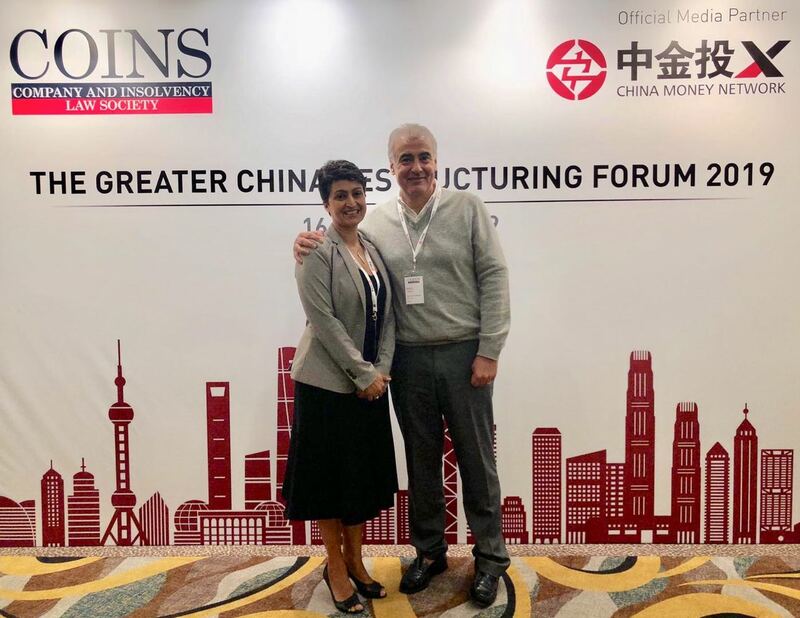 Naveet McMahon (right), managing partner and co-founder of China Money Network, welcomes Hong Kong’s financial secretary The Hon. 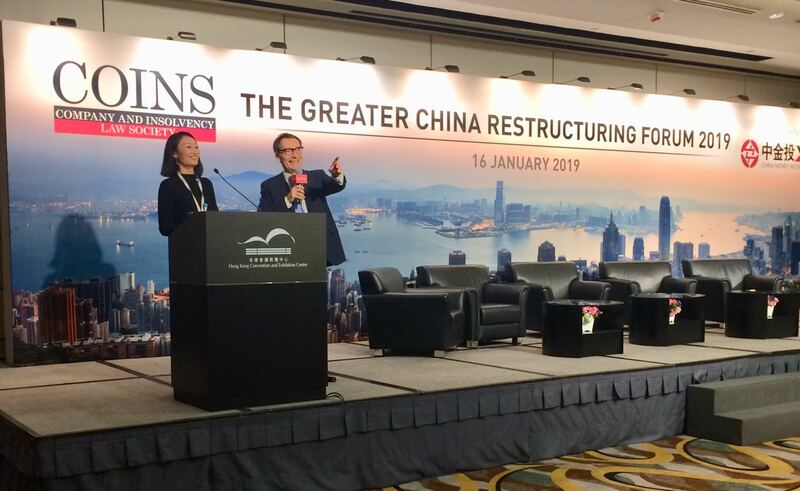 Paul Chan Mo-po (left) to kick-start The Greater China Restructuring Forum 2019. 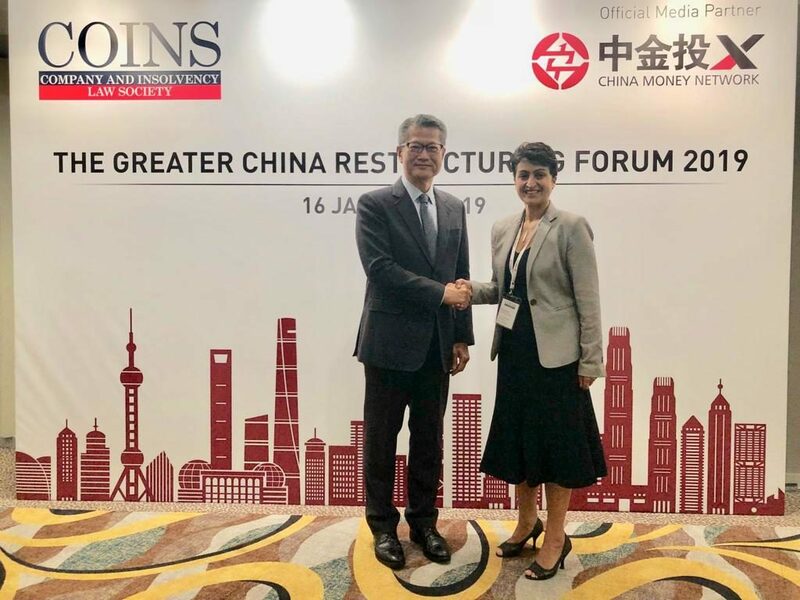 "As the world’s largest offshore Renminbi business hub, and Asia’s major asset management center, Hong Kong is the central connector between the Mainland of China and the rest of the world," said Hong Kong’s financial secretary, The Hon. Paul Chan Mo-po, in his keynote address. 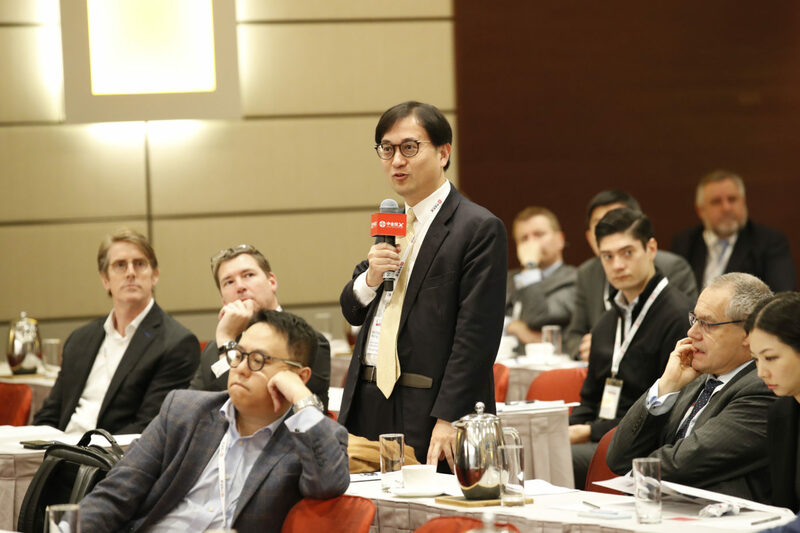 This legislative exercise is technically complex and politically controversial, said Hong Kong’s financial secretary, noting that this is Hong Kong’s third attempt to introduce a corporate rescue procedure in the city. "Challenges notwithstanding, we are charging ahead. 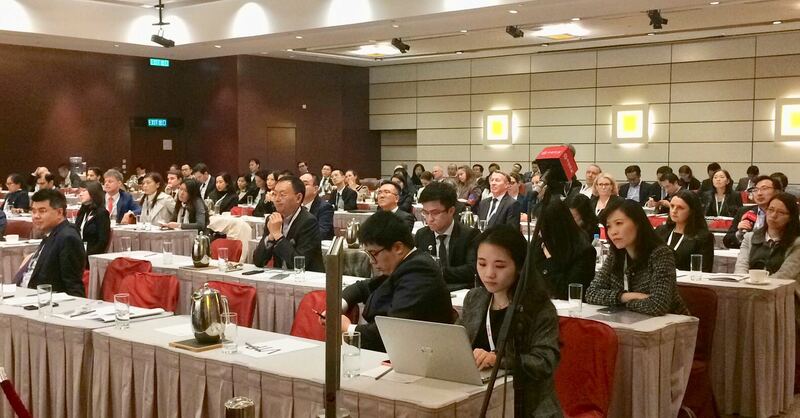 Our target is to introduce a bill into the Legislative Council this legislative year." 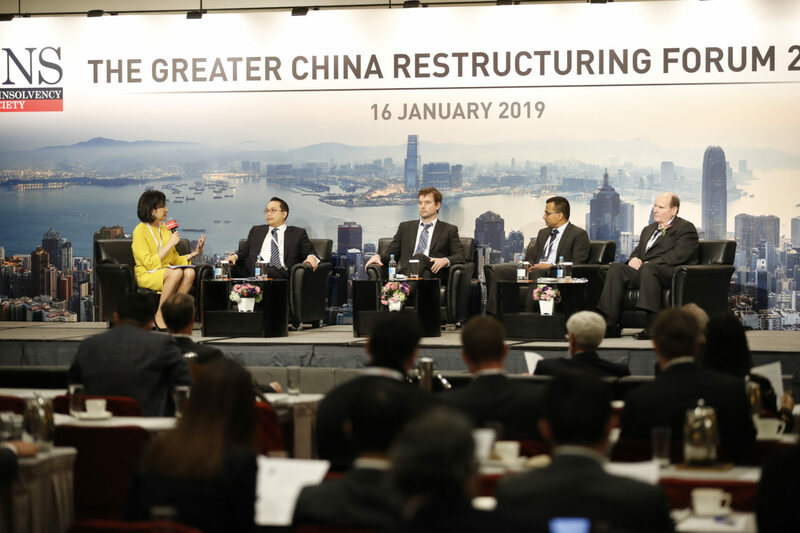 Also significant to China’s distressed asset market is the issue of Hong Kong’s lack of domestic legislation on cross-border insolvency, meaning that winding-up proceedings need to be introduced in each jurisdiction, which is costly and time consuming. 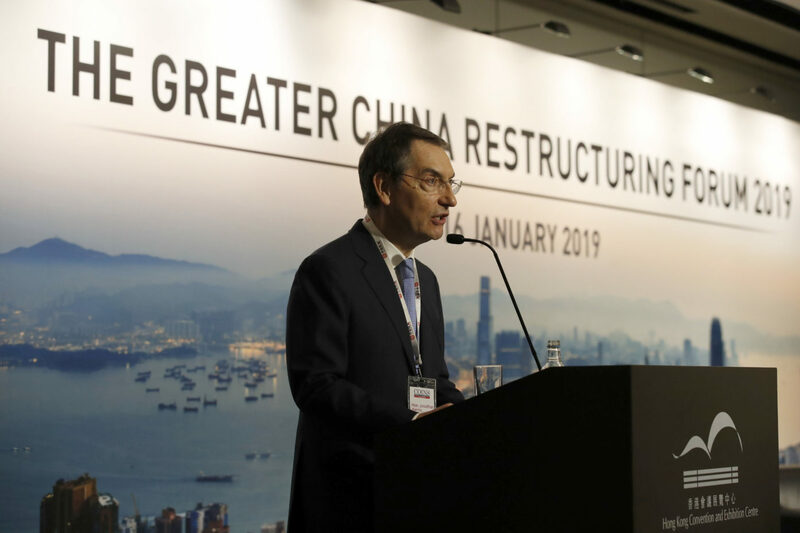 Hong Kong plans to introduce domestic cross-border insolvency legislation through the application of an international cooperation framework. 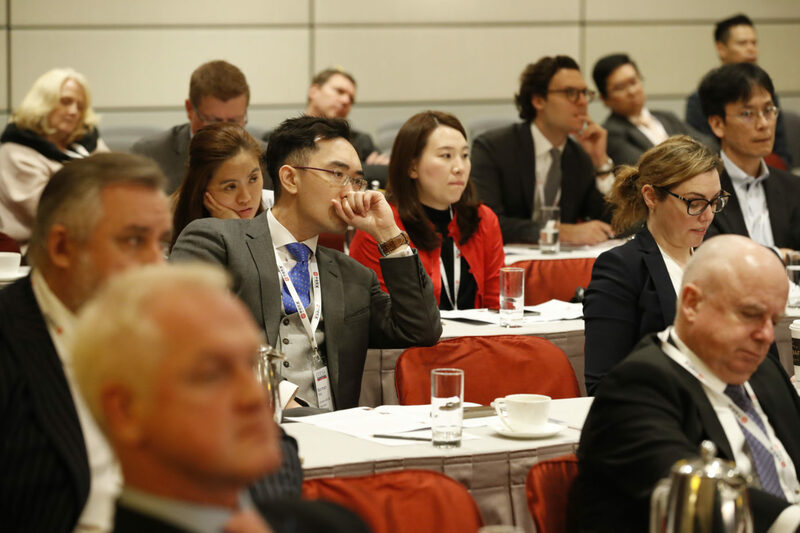 The introduction of a statutory corporate rescue procedure and cross-border insolvency legislation will boost Hong Kong’s status as an international financial center and China’s international financial capital. 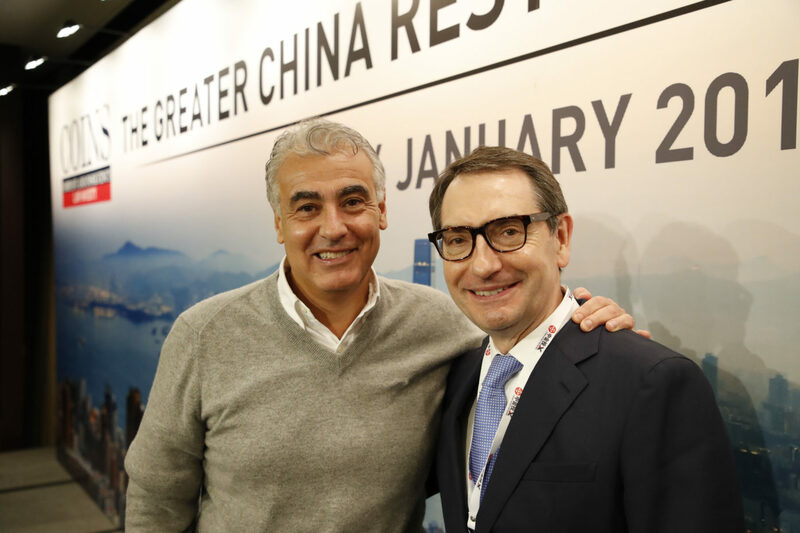 Marc Lasry, chairman, chief executive officer & co-founder of global investment firm Avenue Capital Group, said: "Right now it’s sort of working with state-owned enterprises and banks to try to buy those assets. 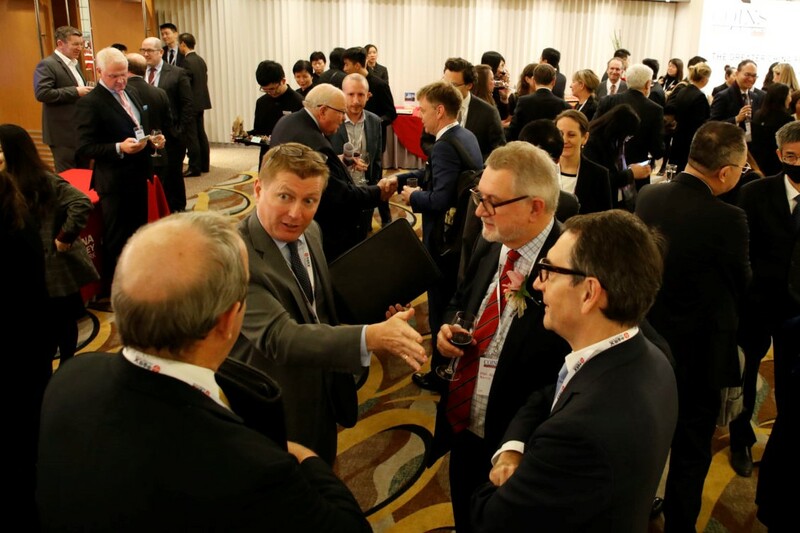 There are opportunities in directly lending money in deals where people need capital." 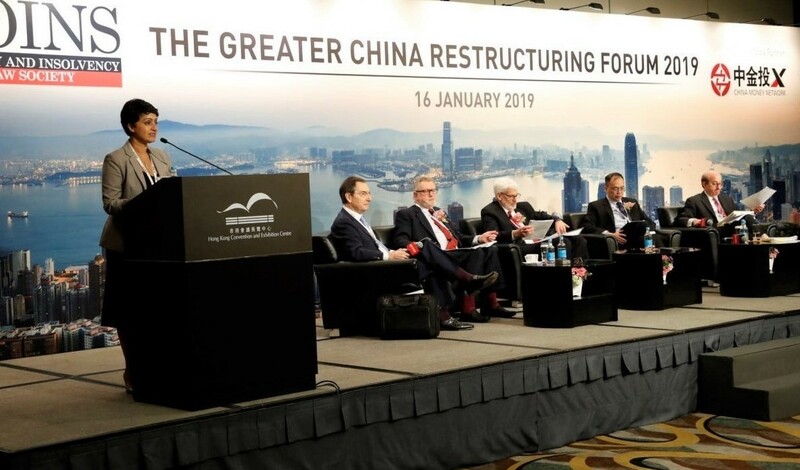 "I think a little bit slowdown has occurred [in China’s current debt restructuring], which is actually beneficial for us. 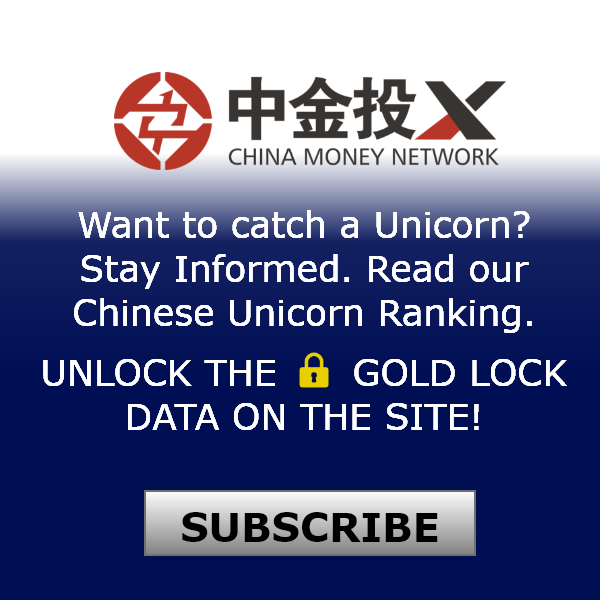 Because what that’s done is making people more receptive to take in investment at a pricing that works for us," he said. 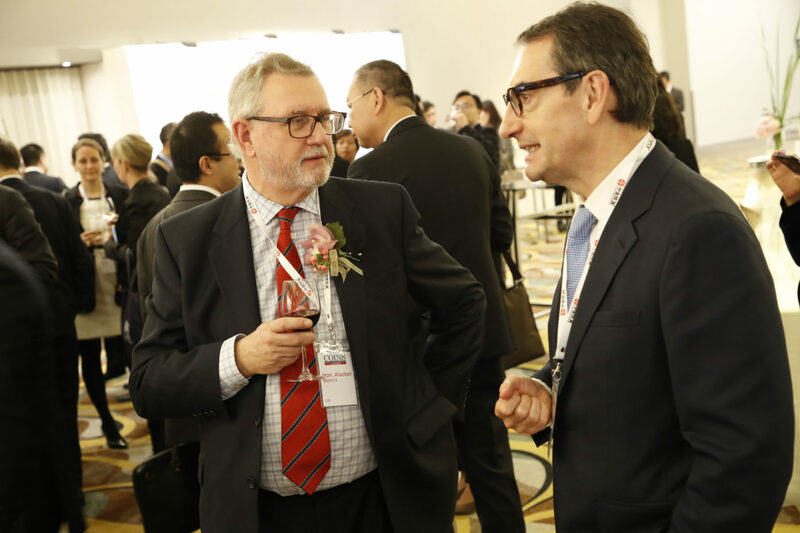 Some challenges are expected, however, according to Justice Alastair Norris. 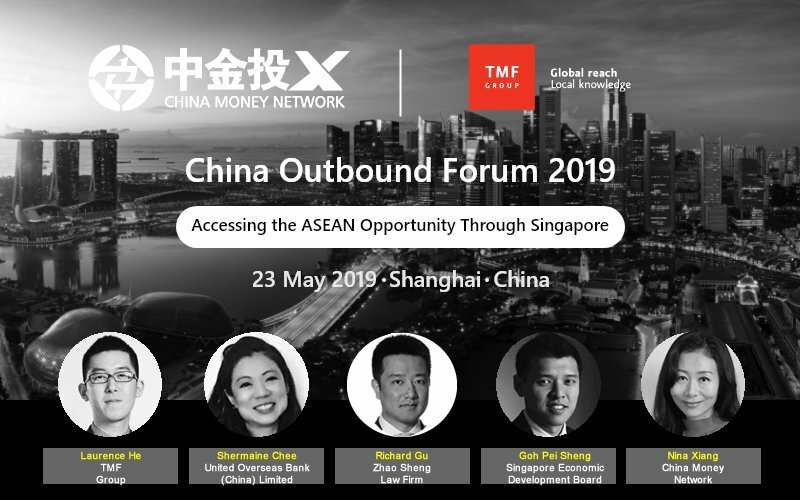 "I’m sure that Hong Kong and China will experience the sort of experience that we’ve gone through in Europe, particularly after the financial crisis in 2008, in learning how to cope with fundamental shifts in economic power between debtors and creditors," he said. 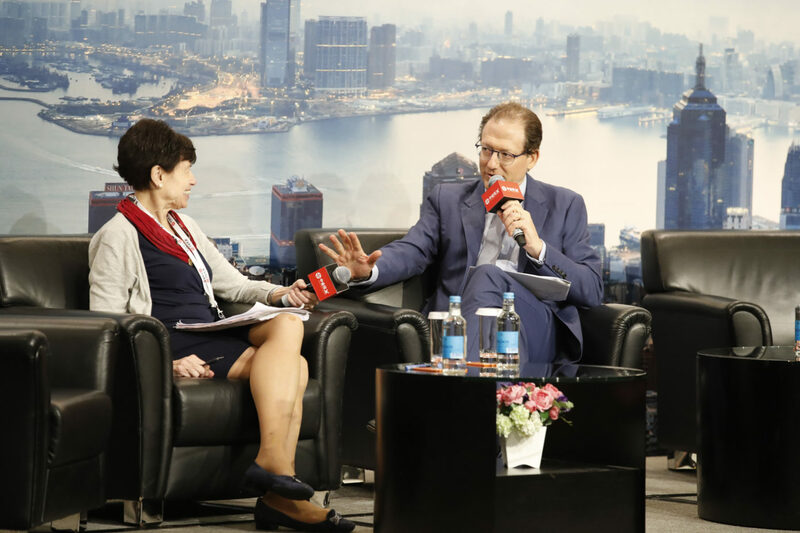 "The ability of judges in China to act free from all outside influences is the fundamental requirement of the Chinese court system," said Justice Norris. 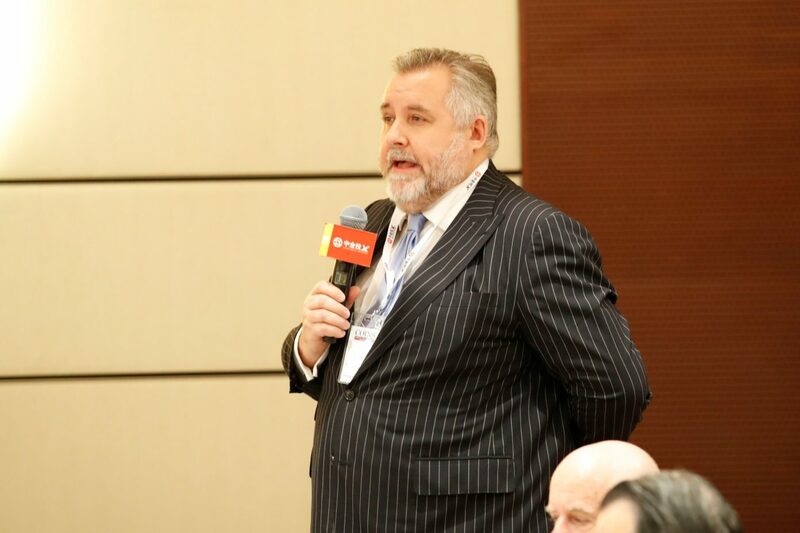 "They also need, of course, to be technically professional in what they are doing. Restructuring is a highly technical thing. 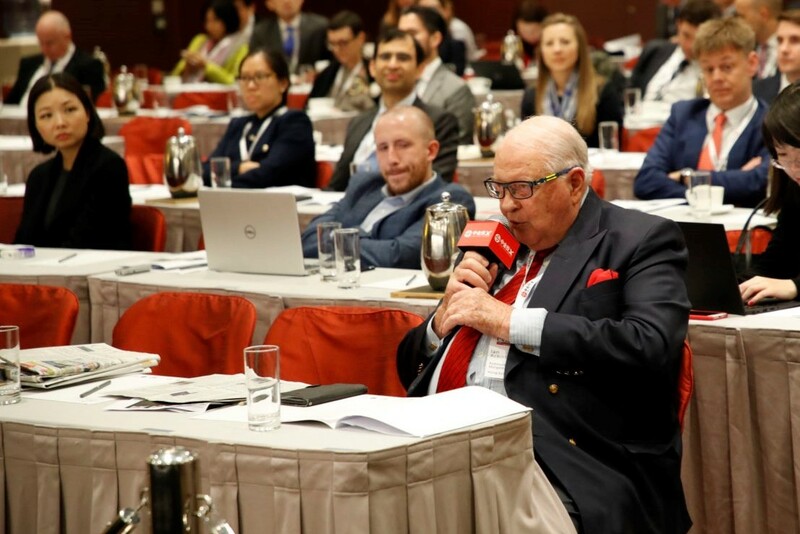 If the role of the judge is to make sure that the system operates fairly and is not used oppressively, the judge has to know not only the restructuring process but also understand the fundamental economics that lies behind the whole process." 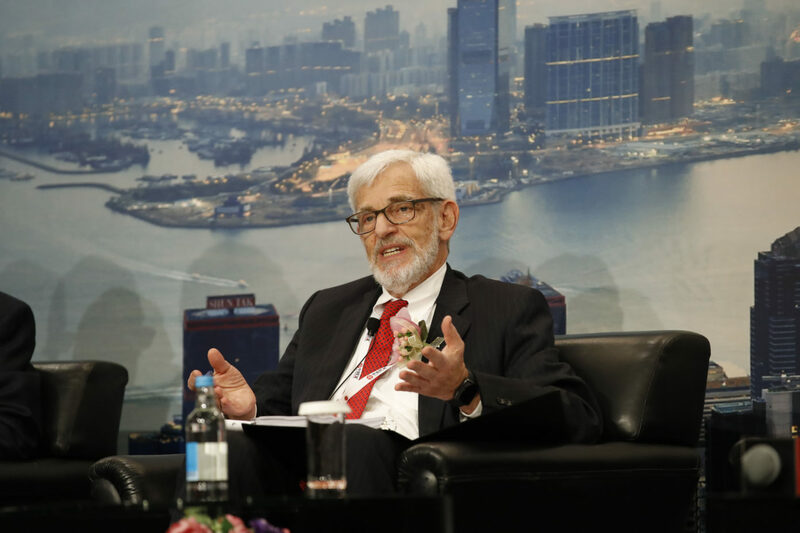 Courts in Hong Kong are "excellent and very creative" in coming up with "a workable solution," said U.S. bankruptcy Judge Martin Glenn, based in New York. 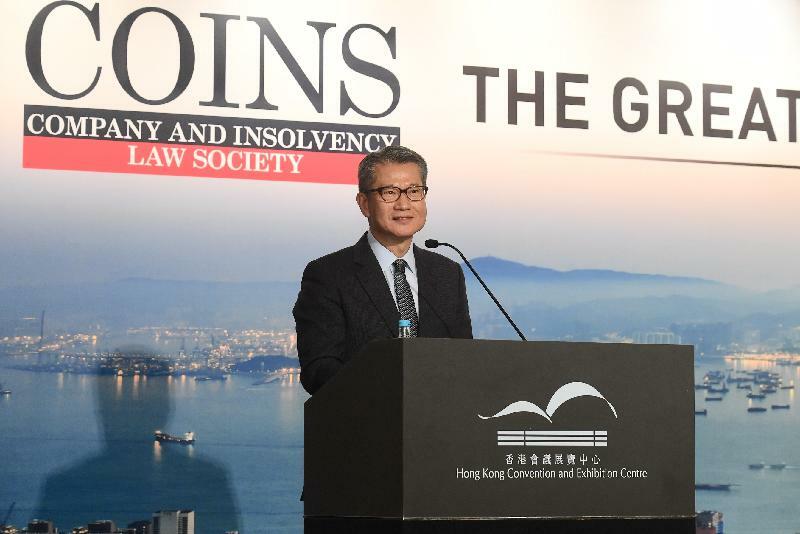 Still, cross-border insolvency and restructuring is "a virgin land" for courts from both sides as there are no cases that have been organized both in mainland China and Hong Kong at the same time, according to Judge Wang Fang, who currently sits on the corporate liquidation and bankruptcy bench of Shenzhen Intermediate People’s Court. 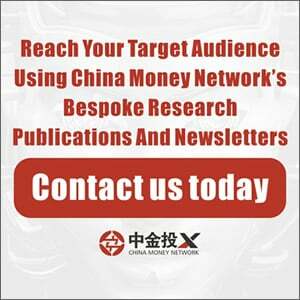 The court is widely recognized as one of the most progressive bankruptcy benches in China. 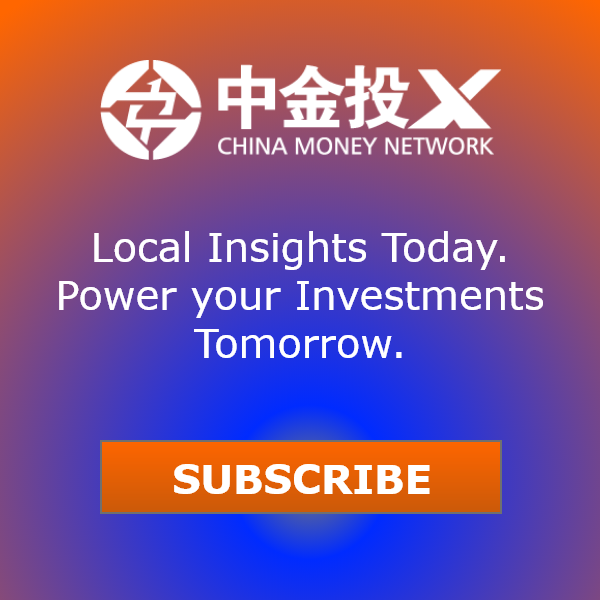 Judge Wang also revealed that the bankruptcy division of Shenzhen Intermediate People’s Court was updated and became the Shenzhen Bankruptcy court two days before the event — the first of its kind in China, while the court in Shanghai will be the next one but the specific agenda is yet to be finalized. 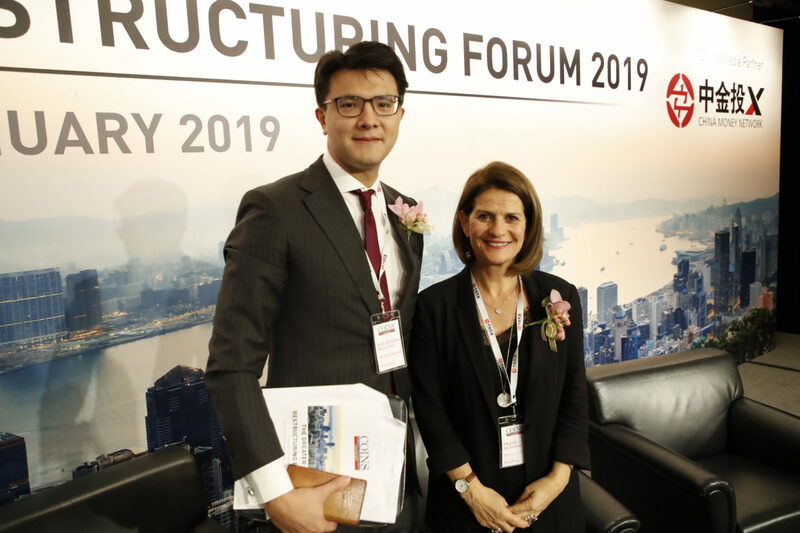 "I think the diversity is very interesting to listen to how these [distressed asset] funds operate," said Phyllis McKenna, official receiver of the Hong Kong government. 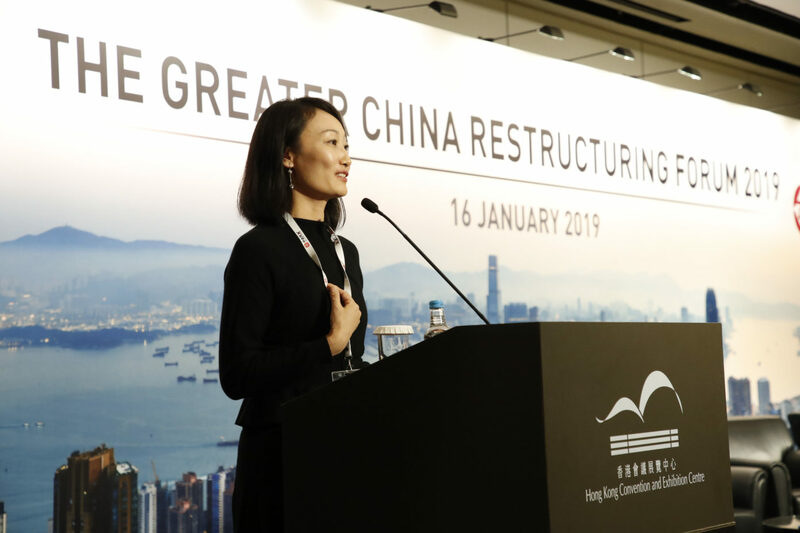 She also pointed out that the official receiver’s office (ORO) is more focused on restructuring to add value for communities, rather than on helping individuals make a lot of money. 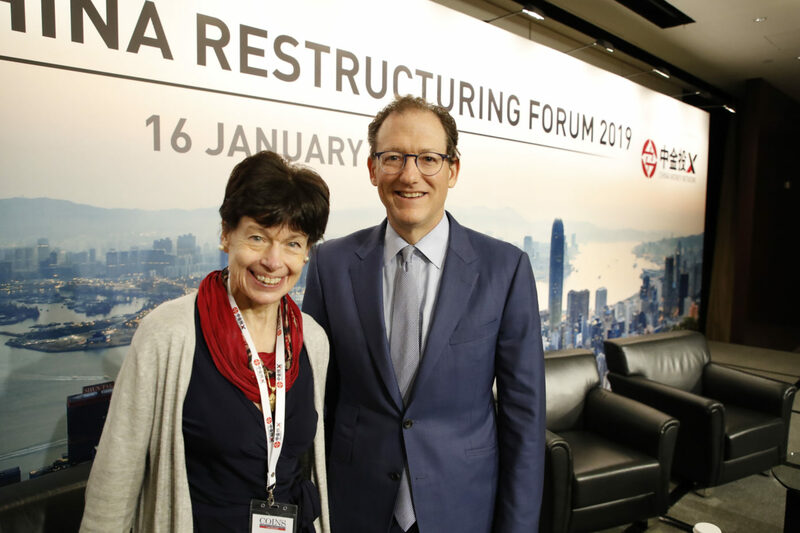 "Our first priority is the corporate rescue," she said, adding the primary goal is to get the legislation passed by the end of this legislative term that will introduce a statutory corporate rescue procedure for Hong Kong. 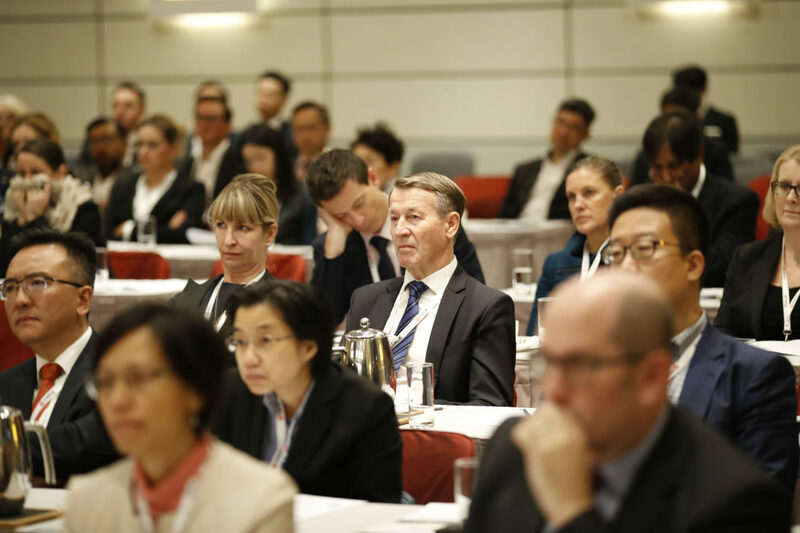 The proposed law currently being drafted will help indebted companies revive their businesses to maximize their viability, or otherwise, obtain a better return for creditors than is currently possible with a winding-up. 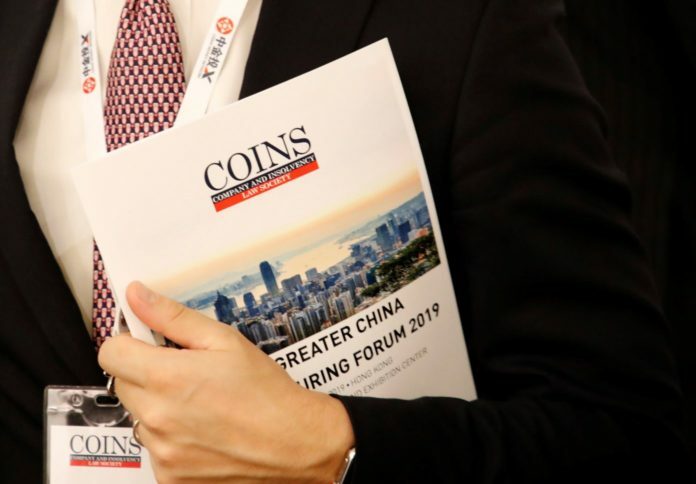 Robert Petty, co-chief executive officer, co-chief investment officer at Clearwater Capital Partners, said: "COINS and China Money Network arranged and executed a unique forum with a great level of care and professionalism. 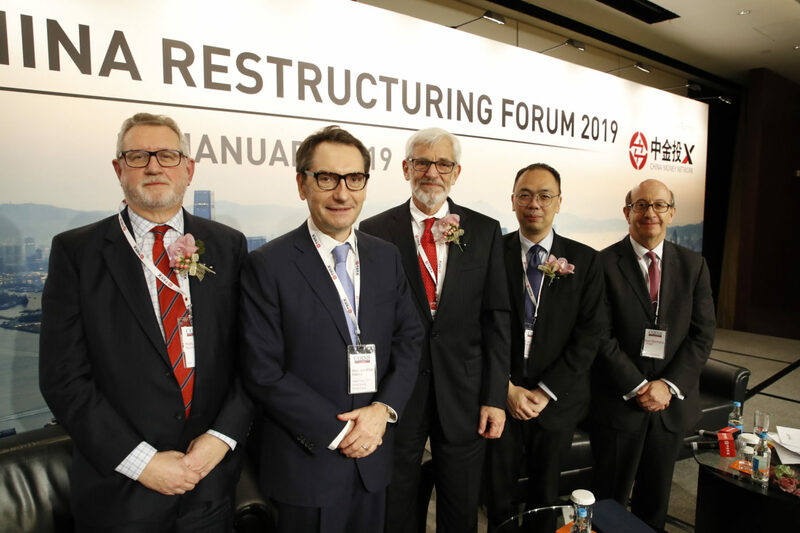 By understanding the financial and economic ramifications of legal judgement that take place during debt restructurings – The Greater China Restructuring Forum 2019 provided a personal and practical view of the market opportunities and real execution issues." 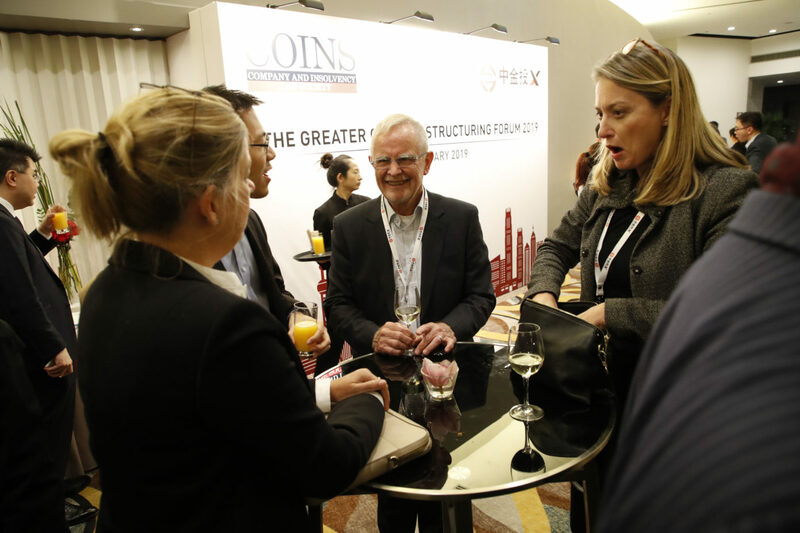 "They did so by bringing together a diverse and wide ranging community including leaders of the distressed investment community, the Hong Kong Government, and members of the international insolvency judiciary all debating Hong Kong’s role in international debt restructuring for Chinese businesses. 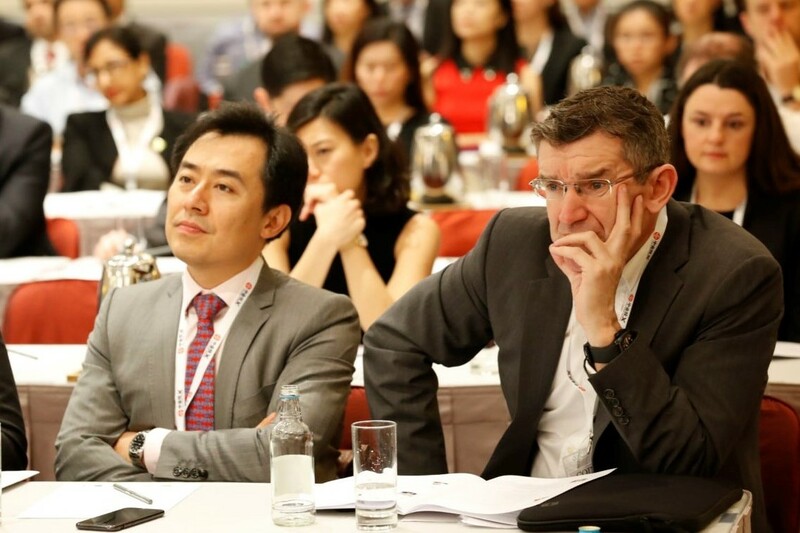 All the global decision makers under one roof, I believe was the first forum of its kind in the insolvency world!" 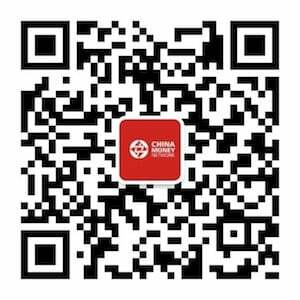 "Thank you COINS and China Money Network for bringing this unique community together!" 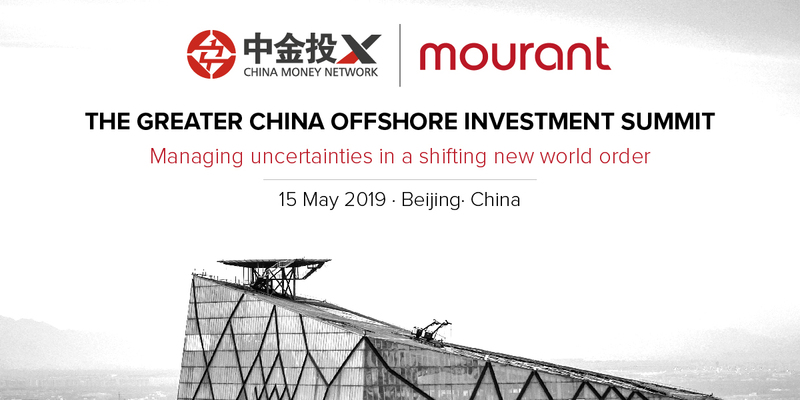 China Money Network, on behalf of COINS, would like to thank our distinguished guests, speakers and delegates for attending The Greater China Restructuring Forum 2019. We hope you enjoy the highlights from the day. See you all next year! 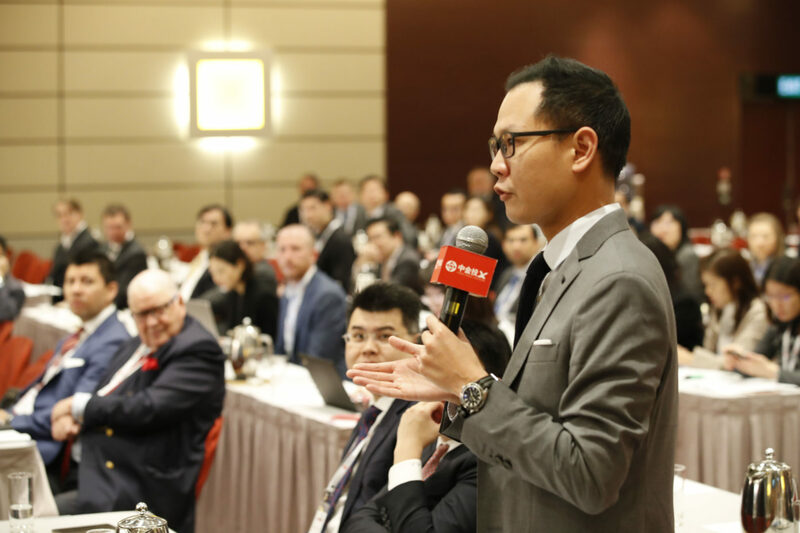 Justice Jonathan Harris, a judge in the Court of First Instance, Companies Court of Hong Kong, gives an opening remark at the forum on January 16. 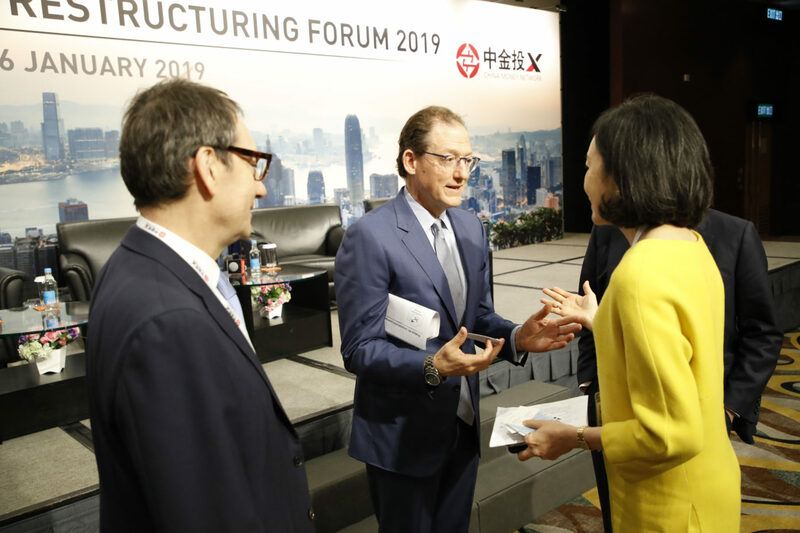 "As the world’s largest offshore Renminbi business hub, and Asia’s major asset management center, Hong Kong is the central connector between the Mainland of China and the rest of the world," says Hong Kong’s financial secretary, The Hon. Paul Chan Mo-po, in a keynote address. 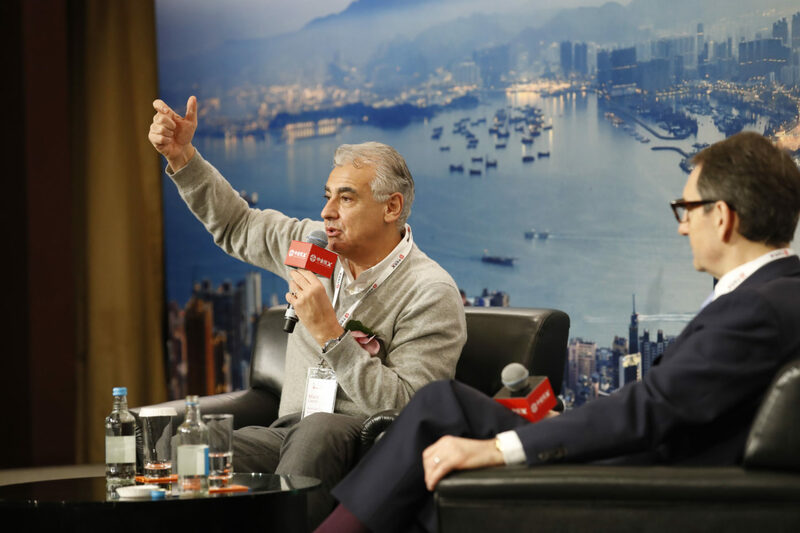 Marc Lasry, chairman, chief executive officer & co-founder of global investment firm Avenue Capital Group, says at the forum that there is "a little bit slowdown" in China’s current debt restructuring. 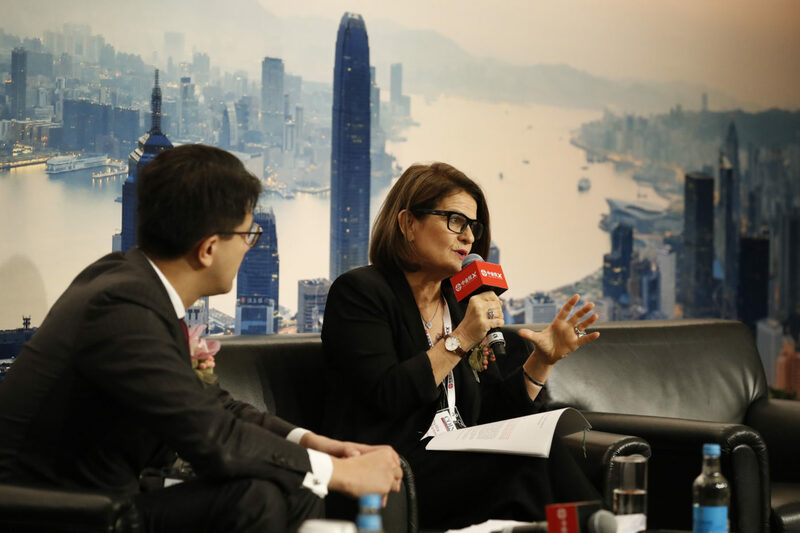 "I think the diversity is very interesting to listen to how these [distressed asset] funds operate," says Phyllis McKenna, official receiver of the Hong Kong Government. 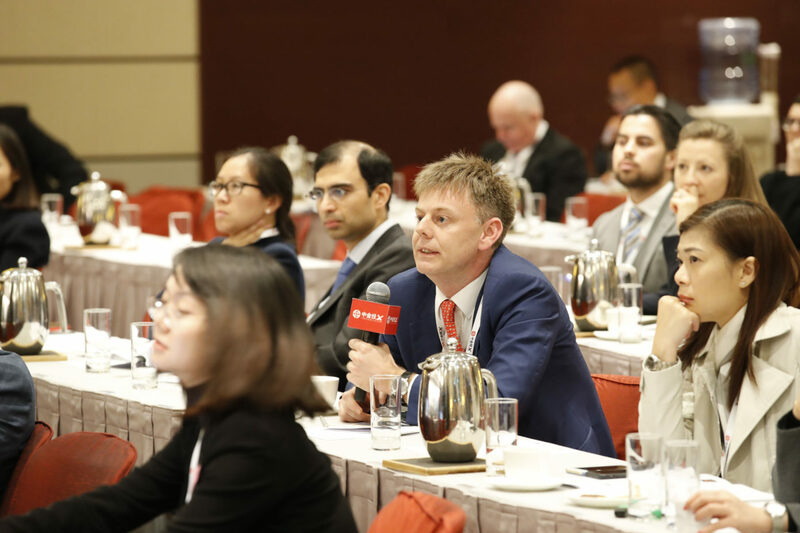 Andrew Brown, partner for macro and strategy at ShoreVest Capital Partners, addresses his opinions on China’s macro economics and distressed credit opportunities at the forum. 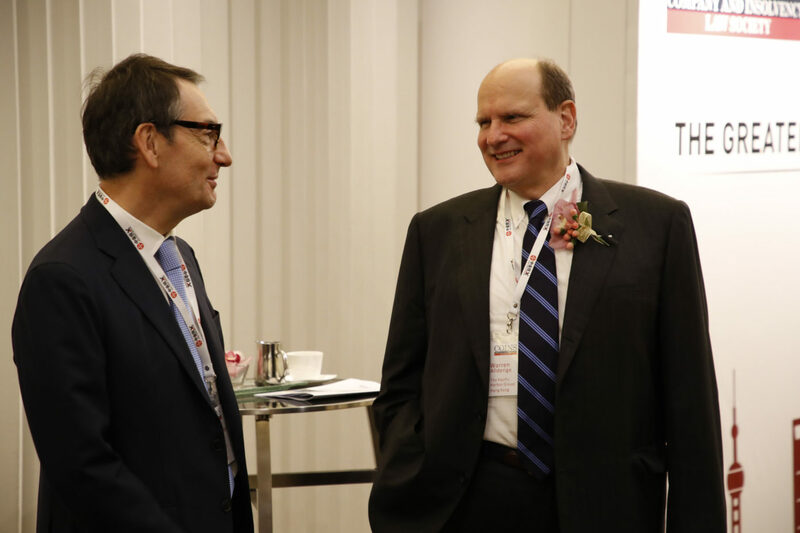 Robert Petty (right), co-chief executive officer, co-chief investment officer at Clearwater Capital Partners, sits in an interview session with Henny Sender (left), chief correspondent for International Finance at Financial Times. 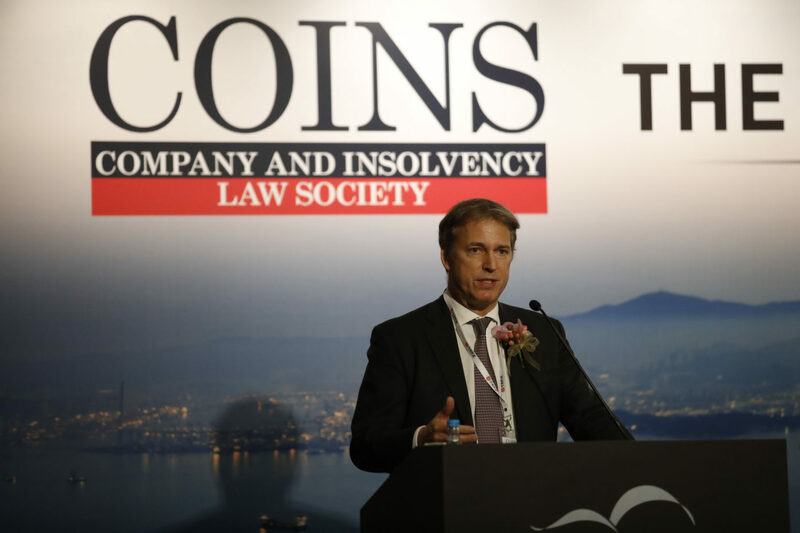 Courts in Hong Kong are "excellent and very creative" in coming up with "a workable solution," said Martin Glenn, a New York bankruptcy judge. 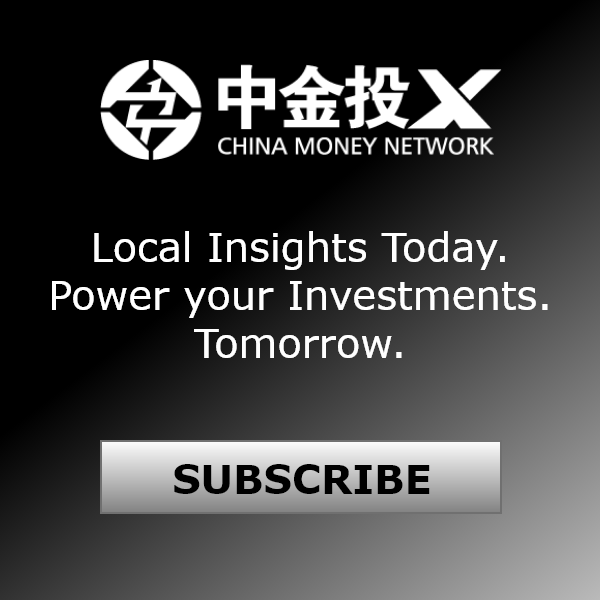 Cross-border insolvency and restructuring is "a virgin land" for courts from both sides as there are no cases that have been organized both in mainland China and Hong Kong at the same time, according to Judge Wang Fang, who currently sits on the corporate liquidation and bankruptcy bench of Shenzhen Intermediate People’s Court.